These are the highest falls on the Mississippi River. 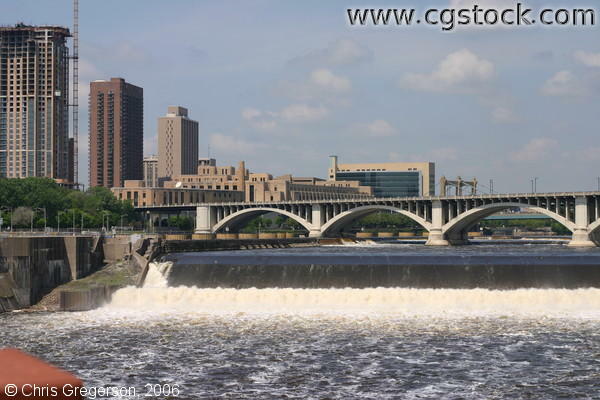 While not that high, they are very wide, and once powered a huge milling industry in Minneapolis (lumber and flour). The Third Avenue Bridge is in the background, and downtown Minneapolis is out of frame on the left.